By this stage we are getting quite attached to young PJ Maybe despite him being a terrible murderous psychopath. As his current victims are reasonably unlikable we don’t mind his terrible actions. He and his family do have a noticeable character arc. Contrast this with someone like Otto Sump who did but is now just a delivery vehicle for joke of the week. It is great to see Liam Sharp the sole artist on all the stories. As he is a rare name in Dredd art this helps preserve the thrill of each new story. It’s just a bit of slapstick. Or possibly a six page set up to a terribly bad pun. It’s not a riveting action spectacular but it does add another piece to the procedural background of Dredd. 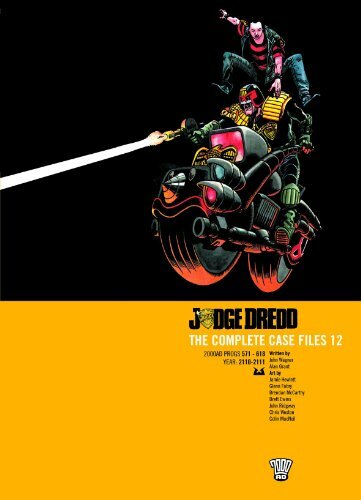 It is odd seeing Dredd in colour but the biological nature of the story certainly comes alive with all the pink and red.